Here is another amazing swap I recieved from my Australia friend Debbie Yeomans . WOWZIE what an amazing swap huh? I love your swap Debbie and Thank you for giving me one . I am so excited we had a chance to met face to face on the SU! cruise . We had a very busy Tuesday here at the Griffith Home . We got our new pool liner put in PLUS all my cabinets were delivered for my Stampin Studio. I have been sharing photos on my facebook page thought I would share a few of them with you today and the rest on Sunday . Thankgoodness the guys who delivered the cabinets took them all downstairs ~ WHEW! Click HERE for all those details . 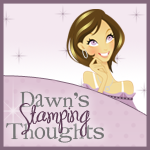 There are 3 ways to get a new 2014/15 Stampin'Up! Annual catalog. Would love to hear if you got your catalog from me already ! It's so exciting and the catalog is AWESOME! I am so sorry I don't have a new video for you today... HOPEFULLY I can get 1 filmed later today for tomorrow. I will work on get things checked off my list this weekend and we will be back on schedule next week (crossing my fingers). This week has been crazy busy some days I feel like I am going in circles . Here is a swap I got from my Australia friend Leonie Schrode. Thank you Leonie so happy we got to mean face to face on the SU! Cruise . Happy to report we are home from a Fabulous time on the cruise and I thought I would share a few more photos today . I have more photos in a photo gallery HERE. 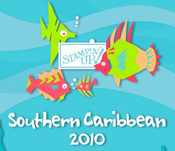 The photo above is everything I got from Stampin'Up! on the cruise. Pillow gifts every night and then we got to toss rings for prizes . I posted a photo on my Facebook business page last week and asked if you could find me in this photo LOL! Here is the upclose photo which will make it alittle easier to spot me . I am sitting down waving as well as a few others in the photo. This week I am going to be catching up on emails/ sending out the catalogs / and also sending out my thank you notes . I have a couple swaps I will show you tomorrow from my Aussie friends . This years Grand Vacation was global which means we had demonstrators on the ship from all over the world we all had such a Fabulous time !